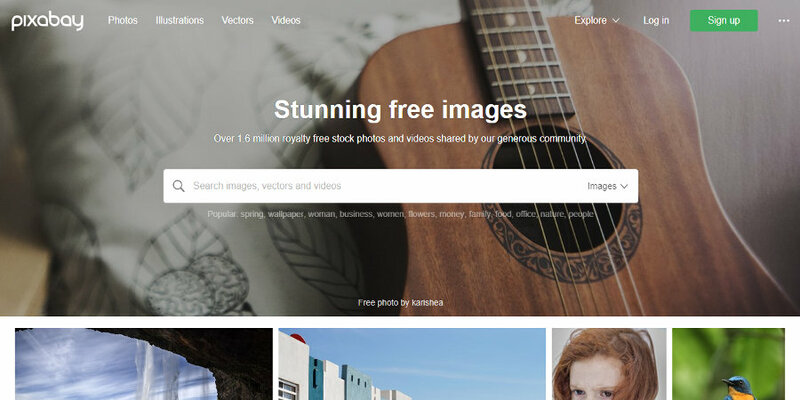 One of the most time-consuming tasks for a small business is sourcing content to use for your website or advertising materials, that’s why we have put together a list of the top free stock photo sites to use in 2019. These sites allow photos for commercial use which means you’re free to use them in your business and any promotional materials. No need to hire a professional photographer or purchase content from a designer. You’re sure to find some epic photos to use on one of these platforms. 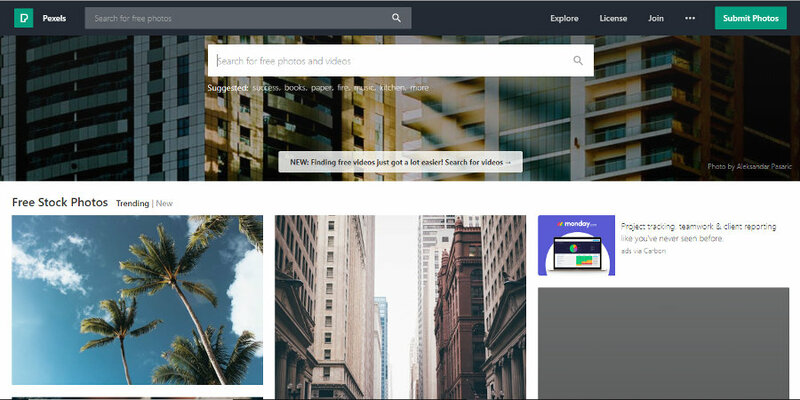 Pixabay has more than 1.6 million royalty free photos and videos and is number one on our list of top free stock photo sites. You can find images, graphics and videos using different search options and filters right from the main window. They also add new featured images all the time, so even if you’re not looking for something specific you can still find some cool photos to add to your collection. The great thing about Pixabay is that these pictures are suitable for commercial and personal use and of course they are all completely free. On top of that, you have more than just regular photos on Pixabay. There are also vector graphics and illustrations, and each one of them has their own category you can browse. Just press the Explore button and you pick Editor’s Choice content, video, images and so on. You can also select content based on various photographers or what cameras were used to shoot that particular photo. What makes Pixabay amazing is they add new content all the time and the images are very high resolution, so they can be used on any project. Pixabay is definitely one of the best sites if you want great free content for your small business. The second on our list of free stock photo sites is Pexels. Pexels is full of thousands of different images, all which are free of charge for both personal and commercial use. They state images can be used to share on social media, marketing materials, websites or apps and anything else needed. A great thing about Pexels is that it actually has a Photoshop plugin that helps you source images right from the site. They also have a Microsoft Office plugin, a Chrome Extension and Mac/Windows apps too. So you can easily have a dedicated extension or app for most platforms which saves heaps of time. You can download any image you want from the site, and the great thing is that they offer the original size, large, medium, small or even a custom size. That alone offers great customization ideas and you will have a great experience exploring all the numerous sizes and options here. Last but not least is Unsplash. While this is one of the smaller free stock photo sites it is one of our favourites no less. Unsplash comes with a very intuitive interface and it features only user-generated content just like the other sites listed above. The image quality is amazing and you have multiple download sizes to choose from as well. Great to navigate they outline popular categories at the top of the page. You can easily pick the one you want and browse all of its content. Another interesting thing is their experimental section full of unique and very distinctive works that everyone will like. 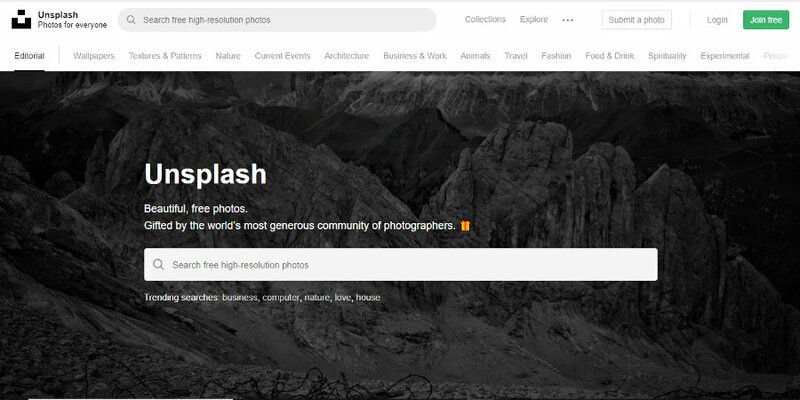 On Unsplash you can also find photo groups called collections. These are related either to a predominant colour, event, item, type of person and so on. Collections offer a fresh way for you to browse images and related subject matter. They also allow you to submit a photo right from the main page should you want to contribute.